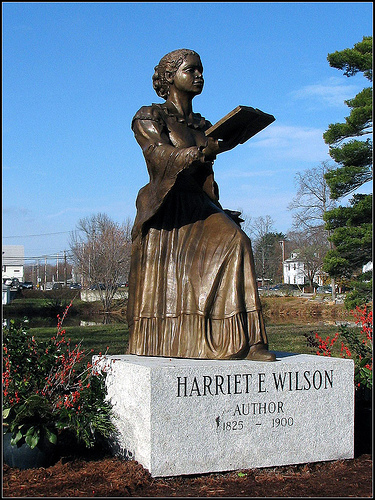 June 28, 1900 Harriet E. Adams Wilson, considered the first female novelist, died. Wilson was born March 15, 1825 in Milford, New Hampshire. Her father died and her mother abandoned her when she was young. As an orphan, she was made an indentured servant. After the end of her indenture, Wilson worked as a house servant and seamstress. On August 18, 1859, Wilson copyrighted her novel “Our Nig” and it was published on September 5, 1859. After publishing the novel, Wilson lectured throughout New England, delivering lectures on labor reform and children’s education. In 1982, “Our Nig” received national attention when it was rediscovered by Professor Henry Louis Gates, Jr.